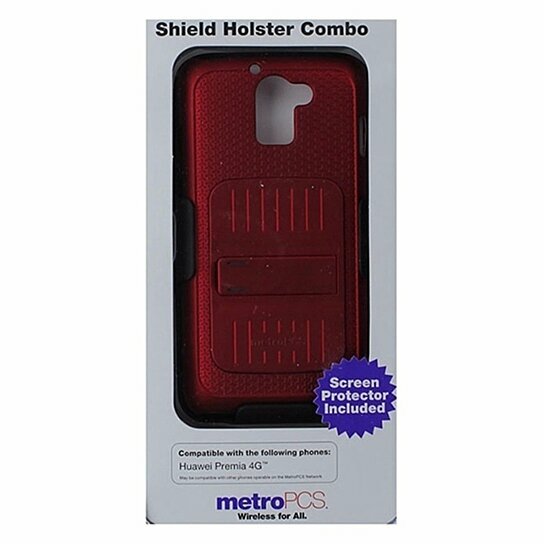 MetroPCS Hardshell Shield Case and holster for Huawei Premia 4G. Dark Red textured finish with built in kickstand. All black holster with rotating belt clip. Screen protector included.